It's late March already! The last couple of months have been super busy and exciting here in the Helen Beard studio. 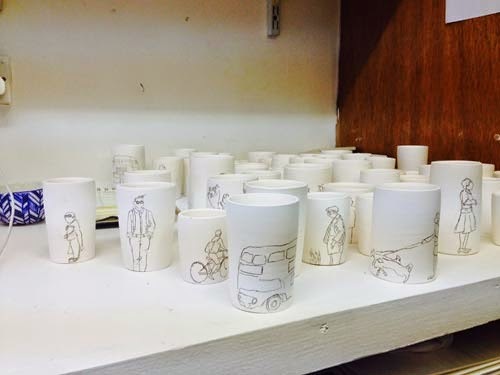 Preparations for the Chelsea Art Fair and Ceramic Art London are well underway. 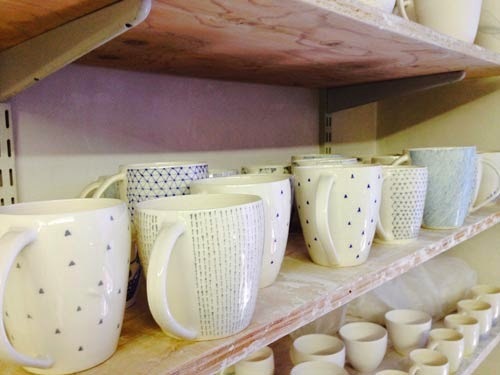 Helen has reached the decorating stage of the process so all of her blank forms are turning into beautiful stories! 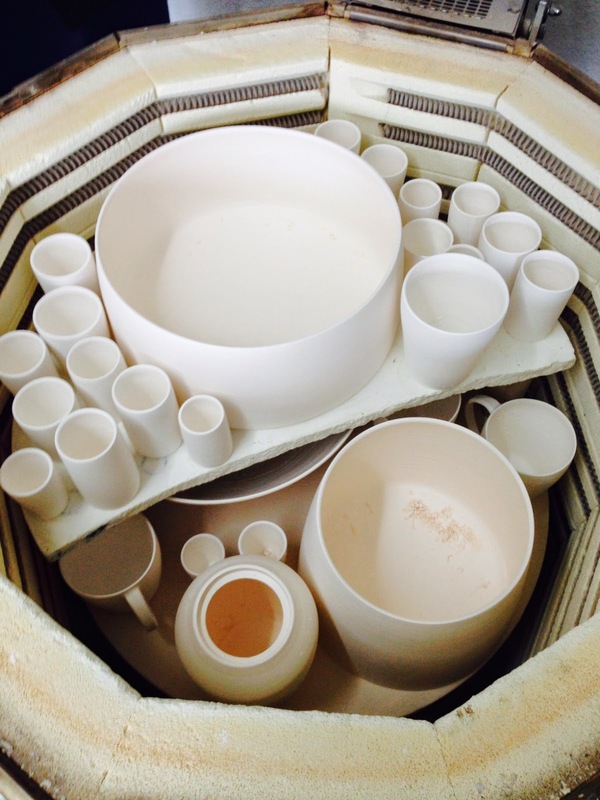 I'm helping out by doing a bit of glazing and loading and unloading the kiln etc. Another major part of the preparations is all of the planning for the stand display, marketing materials and general logistics of a show like Ceramic Art London. This is particularly useful for me because my big news is that I got into Ceramic Art York in September! So in a few months I'll be doing all this planning for myself! 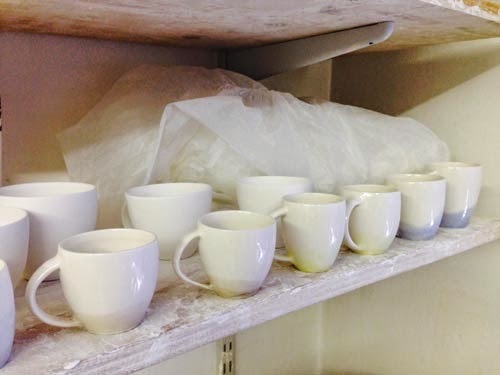 I've also been making little espresso cups which are a bit fiddly but very sweet when finished! Once they're finished my next project is lidded jars!